Just because we’ve all missed out on the $107 million Powerball prize doesn’t mean we have to continue living hand-to-mouth. Simply make a few tweaks to your daily habits and you could see out 2019 with much more padding in your purse. No, we’re not suggesting you dump all your loyal, yet down and out friends and family, but after researching the daily habits of wealthy people for five years for his book Change Your Habits, Change Your Life, author Thomas C.Corley found successful people associate with other successful people as our net worth tends to mirror the level of those closest to us. Find some professional networking groups to join and look to making a few new friends this year. Even if they don’t become a mentor to you in the traditional sense, their lifestyle should inspire you to work harder and smarter. Otherwise, the voice in your head (and your heart) should be much louder than anything else you’re hearing. Turn up the volume. Simply put, your chances in business (and in life) are more likely to be amplified by having a solid mentor – someone who can provide guidance, offer advice and reassurance and serve up an unlimited network of contacts you can tap into to help you leapfrog into success. It’s a common mindset for us to believe that if we work hard in our chosen fields, we’ll eventually make enough coin to make ourselves (very) comfortable, but as Corley found in his five-year study of millionaires, wealthy people did not rely on once source of income to get them there and they do not rely on one source of income to keep them there. In fact, Corley found 65 per cent of the millionaires he interviewed had at least three streams of income that they created before making their first million. Time to start thinking about a side hustle or two! 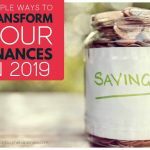 Many of us are guilty of paying our bills first and only then trying to save what little money we have left over once lifestyle costs are met, but those who are successful with money tend to meet their primary goals first – paying themselves. This means setting up a direct debit to a separate bank account (preferably one that won’t allow easy withdrawals) and paying a lump sum into it every time you get paid. Enforced savings is win/win; not only are you guaranteed to save money each month, but you’ll learn to budget more effectively with the money that’s left over. And finally, wealthy people never save money only to have it sitting in their bank accounts as ‘rainy day’ money; they save enough to invest it appropriately (seek advice from a financial planner) so that the money can grow and grow, helping them to become even wealthier in the process. This article was written by Dilvin Yasa, a freelance journalist, author and commentator.